The Midway Pantherette track team had a great district 12-6A meet Wednesday and Thursday as the girls brought home almost 90 medals and the JV team championship plaque. The varsity girls were third in a very competitive meet. Toronica Duncan won the high jump and triple jump (and two other medals), and Kennadie Ransberger won the pole vault. Other medalists (and their number of medals won) were Shantavia Staples (4), Kaci Kemp (3), Cayla Burch (3), Kennade Childers, Marie Benson, Caraline Gaston, Mia Miller (2), Madison Rohre, Becca Burke, Tori Williams, Reggie Allen, Ashlynn Gorell, Riley Cowan, and Victoria Delacruz. The JV girls ran away with the team championship by 80 points over the second place team. Gold medalists were Kyra Webster in the 100, Camryn Green in the 100 hurdles, Joy Brewer in the 300 hurdles, Jazmine Rice-Brunskill in the 800, Julia Scott in the pole vault, Meredith Kaminski in the 1600 and 3200, and the 1600 relay team of Rice-Brunskill, Lakyn Glasson, Ayana Holston, and Ja’Naiya Davis. Medalists (and total medals won) were Webster (5), Rice-Brunskill (2), Brewer (3), Green (2), Kaminski (2), Holston (3), Davis (5), Jasmine Moore, Lasha Wineinger, Ca’Leyah Burrell, Nadia Hill, Gracie Hutson (2), Charlotte Kaminski, and Lindsay Toups. The freshmen girls were second overall, concluding a great season for them. Gold medalists were Leanna Herrera in the triple jump and long jump, and Hannah Langerman in the high jump. Medalists (and total number won) were Herrera(5), Langerman, Hannah Oubre(2), Kim Rivers (3), Alyssa Fleetwood(2), Lulu Rivera (3), Shelley Jones (3), Kelley Jones, Jordan Gus (3), Kamryn Davis, Dee Dee Burks (2), and Abby SoRelle. 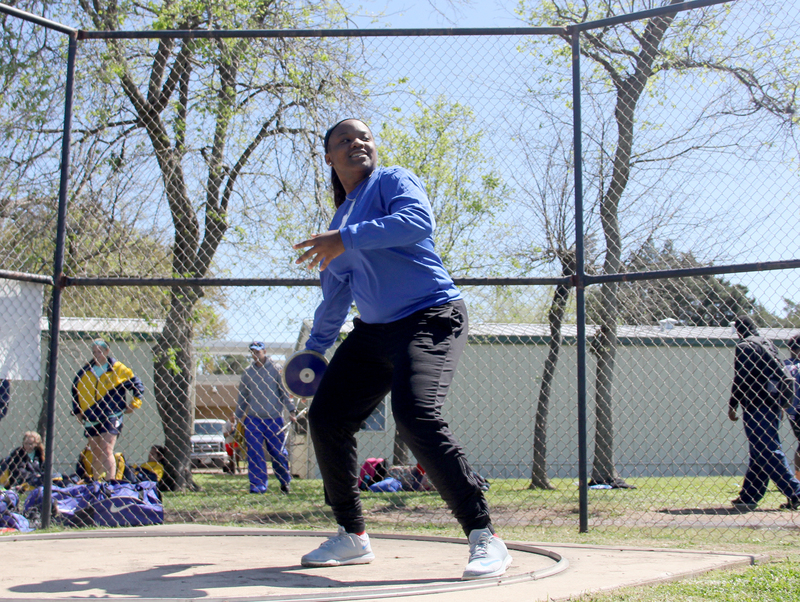 The top 4 in each varsity event qualified for the area meet to be held Thursday, April 21 in Copperas Cove.